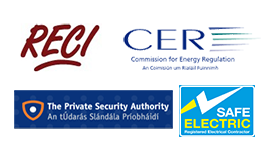 Under Irish legislation PAT testing also known as portable appliance testing must be completed by businesses and landlords. It is now common place for insurance companies to ask for PAT testing records before providing cover. In a recent study conducted by the H.S.A. 25% of all electrical accidents where caused by faulty portable appliances. Here are the 6 main reasons PAT testing must be carried out. To comply with Irish legislation (S.I No.299 of 2007). To prove compliance to insurance companies. To protect yourself or your company from potential court action. To protect your or your companies professionalism and integrity. For the safety of your employees. For the safety of visitors at your business or your tenants. At Dublin electricians we provide a complete PAT testing service. Our service covers all voltages from 115 volts up to 400 volts. Our first task would to be to visit your property and conduct a survey of all the portable appliances that require testing. Portable appliances are classified as a piece of electrical equipment that is not part of a fixed installation but is, or meant to be connected to a fixed installation via a flexible cable, plug and socket. This includes toasters, kettles , microwaves, fridges, freezers and a large amount of electrical tools to name but a few. On completion of the survey and your instruction to commence we will meet you again to agree the testing plan as per your requirements. We will then arrange a time with you that will minimize any interruptions to your business and proceed. On completion and once in receipt of payment you will be provided with a full report with a list of the test results and your certification of compliance. All records must be kept for 5 years minimum as the H.S.A. conduct random checks. All appliances that have been checked will have a traceable heavy duty tag placed on the cable for inspection purposes. Our team of RECI accredited fully qualified electricians can carry out your PAT testing efficiently and with minimum disruption to your daily routine. Foe more information and a free quote call your local team at Dublin electricians on 01-6874854.